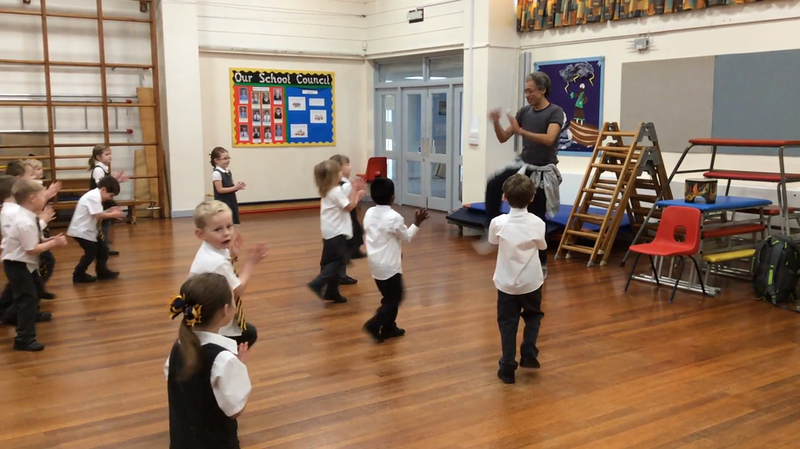 Last week we had a workshop with Pete, a dancer from the theatre production "STOMP!" The children were fantastic, clapping back rhythms and following a short dance sequence. They went back to the class and practised it following the class video on the Interactive White Board, and then performed it to the whole school. They had to remember the sequence and keep in time with the beat. Watch their practise and performances to each other here. Here they are practising their dance moves with Pete!